Entering the 20th year of conducting the UVA/Virginia Women’s Chorus, I pause to reflect on the long and winding road (with several lengthy intermissions) that kept leading me back to the Chorus and one thing is crystal clear. It’s the students – the lovely ladies with their enthusiasm, dedication, humor, talents, and unceasing energy – yes, it’s the students who have kept me inspired and motivated. They/YOU have always aimed for high musical standards, and in sharing your music, you have moved people to tears, and brought joy, beauty, meaning, and laughter into the lives of many. It’s been an incredible pleasure to witness the creation of friendships that continue outside the doors of B012, and to reconnect and catch up briefly with you from time to time. My journeys have been enriched by each of you, and I am grateful for the gifts you gave, and continue to give, to create the Chorus that sings, laughs, shares, and works diligently today. Discovering the path as an inaugural member and an accompanist – a green undergrad with a touch of hippie. Skipping along as a grad student, founding the Belles, beginning the Candlelight Concerts and the Spring Pops Concerts, and foolishly/bravely taking the Chorus on tour, singing at Disney World – all while being little more than a teenager – but, oh, what fun! Proceeding with increasingly more deliberate footsteps when I became a faculty member and we recorded our first album (vinyl!). After three Candlelight Concerts, my firstborn entered the pic., and three months later the munchkin went on tour with all those amazing “girls”. Kept paving the road, building the sound and the ensemble until we were selected after an intense and rigorous audition process to sing at the prestigious ACDA convention (terrifying and exhilarating!) Was the lack of sleep the night before our performance due to nerves or the hotel manager telling me our members were disturbing the peace? Treading heavily along, (stumbling actually) after the shocking news that the music department would no longer fund us – indelibly etched in my memory, resulting in an anger and sadness I had never known. However, with the help of the officers, we led the way with truth and dignity, ending on a poignant high note with the strains of Simple Gifts reverberating in my soul for years to come. Road closed temporarily – 1989-1994 – due to lack of funds. Helped forge a new route with Wynne Krause and Elisabeth Noseworthy, when the VWC, like a phoenix rising, emerged as a CIO. Discovering the trail demanded more of me than I could give at that time, wanting to be with my three small children, knowing I would never get those years back, and making the agonizing decision to “retire”. Many tears…again. The chosen guides, Donna Plasket and Libby Moore Slade, led the Chorus with grace and excellence over the next 11 years. 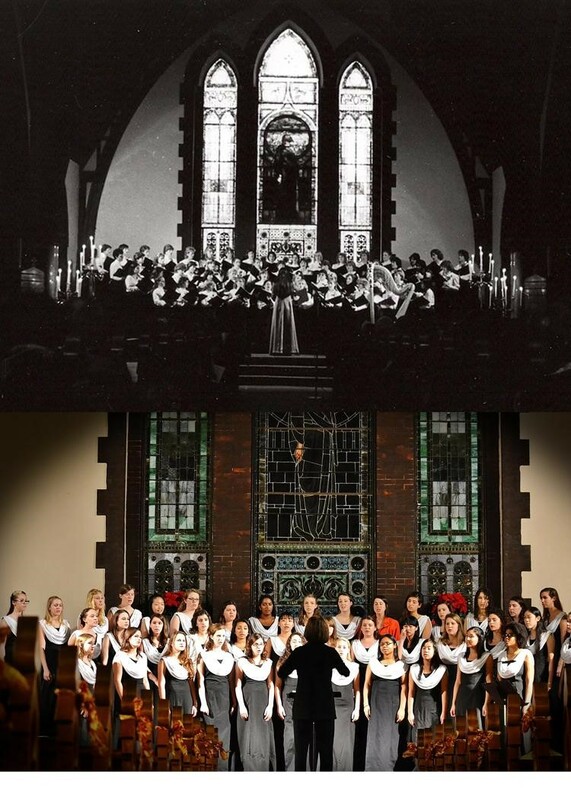 Cautiously, and with rust in my choral bones, I stepped back onto the Vdubz road, and gradually, after years of primarily being a mother, studying two modalities of music and healing, and being a music director at a church, got back into the hang of it. I thank the members for their patience and understanding while I struggled. So much has happened in the last 11 years that it warrants a separate article. One thread that runs through my life with the Chorus is the message of Simple Gifts. As I have worn and shed different external ways of being in the world, I find that when I am truly in that simple and free space, in that space where connection with the Great Mystery of Life is found, and where music sometimes flows to me, that I am truly in the garden of love and delight. If our music-making has helped you find that place as well, we are all blessed.